The Universal Gym Company was founded in 1957 as a means to broaden the appeal of weightlifting and offer a safe lifting experience to the novice user. Up until that time, free weights, such as barbells and dumbbells, were the primary options available to avid weight lifters and bodybuilders. Inexperienced lifters, however, had a tendency to injure themselves with free weights by dropping them or lifting incorrectly. The help rectify this, Universal is credited with creating the first weight lifting machines. On Universal fitness equipment, rather than lifting a bar or dumbbell loaded with weight plates, the user lifts or pulls a handle connected by levers or cables to a stack of weight plates riding on steel guideposts. This allows a user to perform weightlifting exercises with a reduced risk of injury. The Universal Gym Company was acquired by Nautilus in 2006, and the brand has been subsequently discontinued. The term "universal gym" is now commonly used as a generic term to describe a multi-station gym that can be used by multiple users at the same time. Many of today's top manufactures, including Impact Fitness, Body-Solid, BodyCraft, and Magnum Fitness manufacture multi-station gyms that are used by home users, commercial gyms, athletic teams, rehabilitation studios, body sculptors and body builders. 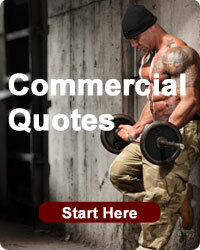 These gyms offer enormous flexibility and are a great supplement to free weights. 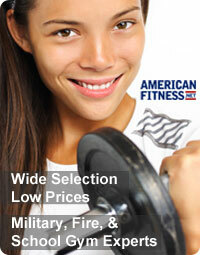 At American Fitness, we carry a large selection of multi-station gyms (i.e. "universal gyms") to meet the needs of home users, institutional users, and commercial gyms alike. Gyms come in many configurations to fit space, training, and budget requirements. A single station gym may be perfect for a small space and limited budget, while an 8 stack jungle gym may be the perfect solution for a National Guard unit or fire department looking to provide their personnel with the means to stay in top shape. Whatever your needs, we are sure to have what you are looking for.